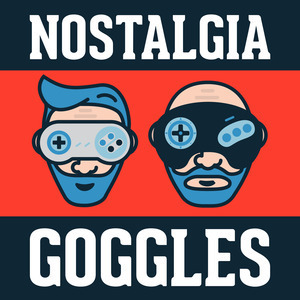 64 episodes of Nostalgia Goggles since the first episode, which aired on January 24th, 2017. Thematically one of the darkest Kirby games, it also has no between world dancing which makes us quesiton it's validity as a Kirby game at all. Moderator's note: This summary has been locked to prevent anymore "can you dig it" references. Because Zelda wasn't a popular enough franchise on its own, apparently, this one crams in tons of characters and mechanics from Super Mario Bros.
Pokémon Snap: Great on rails shooter, or the greatest on rails shooter? Quit flapping your lips and fly! Seriously, please stop doing whatever you're doing with your face. Turns out that game every little kid plays of smashing their toys together is actually a multi billion dollar franchise idea. If you've never heard how hard Battletoads is let us assure you; it's all lies. Easiest game ever made. Kick, punch, it's all in the mind because these songs are catchy as heck. Imagine your sibling is constantly screwing with the camera while you're playing and you can't stop them; that's the camera in Super Mario 64. Playstation and Nintendo 64 Games are Coming! Playstation and Nintendo 64 games are coming! Reach out at nostalgiagoggles.audio or on twitter @nogogpod with recommendations for your favorite games! Mega Man 6: the answer to the question "what if Mega Man wore his dog around his neck and used it to punch people in the face?" Live the life of a MechWarrior: get your mech repaired, strike up awkward conversation at the cafe, haggle your fee, and occasionally go on missions! No one has died of dysentery, but you might feel sick with how often Lyons alternates how he pronounces "Oregon." Go back to the beginning of the Captain Falcon legend. So early in the legend he's never mentioned or shown in any way.